What’s it like to stay at Bangkok’s best hostel? 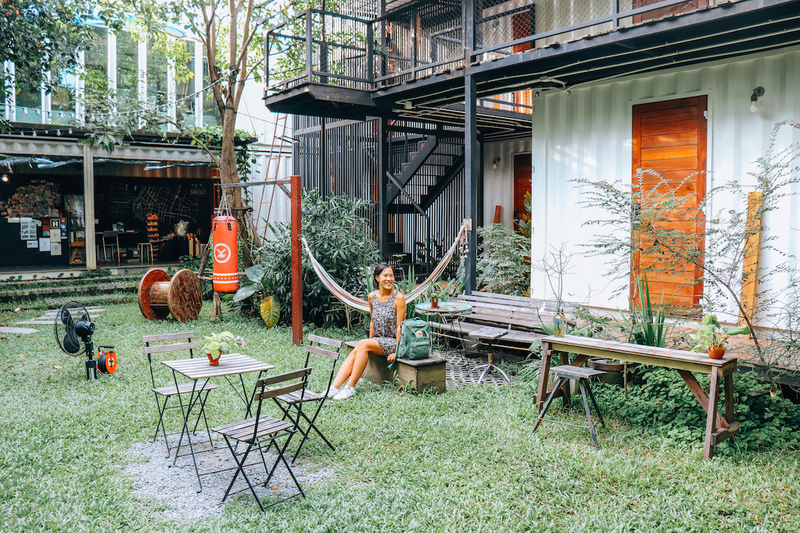 Located in the trendy Ari neighbourhood in Bangkok, The Yard is an award-winning modern hostel constructed from refurbished shipping containers. Opened in 2015 by Som and Som (two friends with the same name) the boutique hostel’s name also has a double meaning. The Yard references both the yard in which the shipping containers are built, as well as the Thai translation of the word “Yard” which means relative. The Yard has everything you could possibly want in a hostel…..and more. 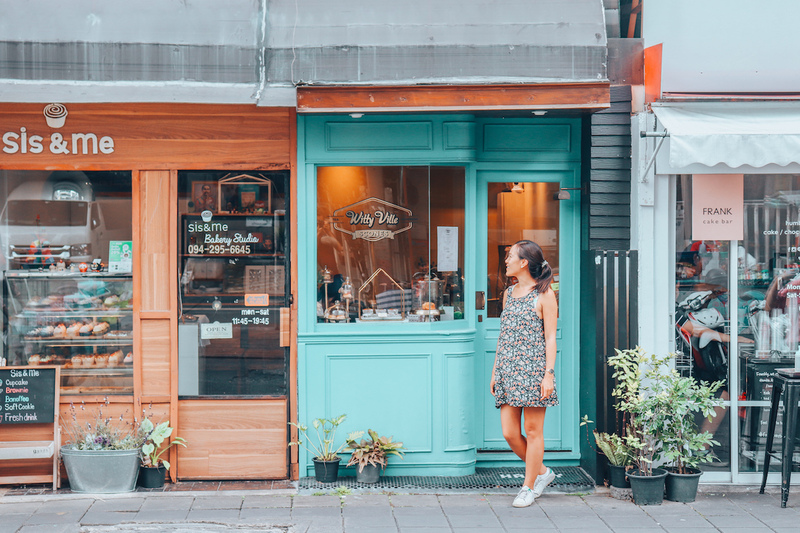 The hostel is located on a quiet side street in Ari, yet very central — only a 5 minute walk from the closest BTS metro station and close to plenty of street food and trendy restaurants. 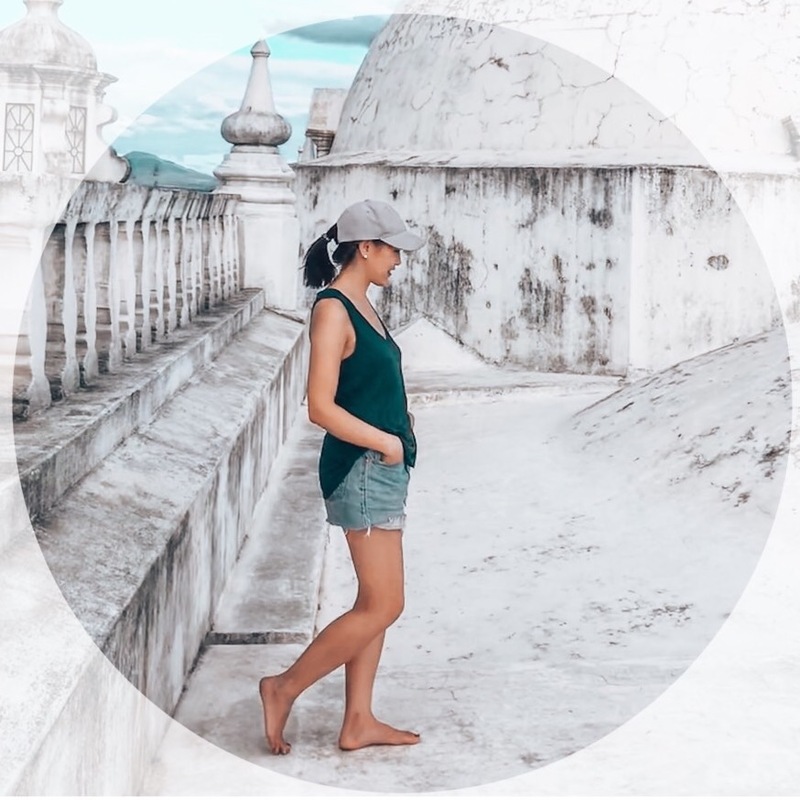 For those who like to socialize with other travellers, there are plenty of shared spaces including a small bar/cafe with picnic tables in the yard, indoor “chill out” rooms, as well as a free weekly yoga class. For those who don’t, the high speed wifi is excellent and there are bookshelves full of SE Asia travel guides and other reading materials that other travellers have left behind. 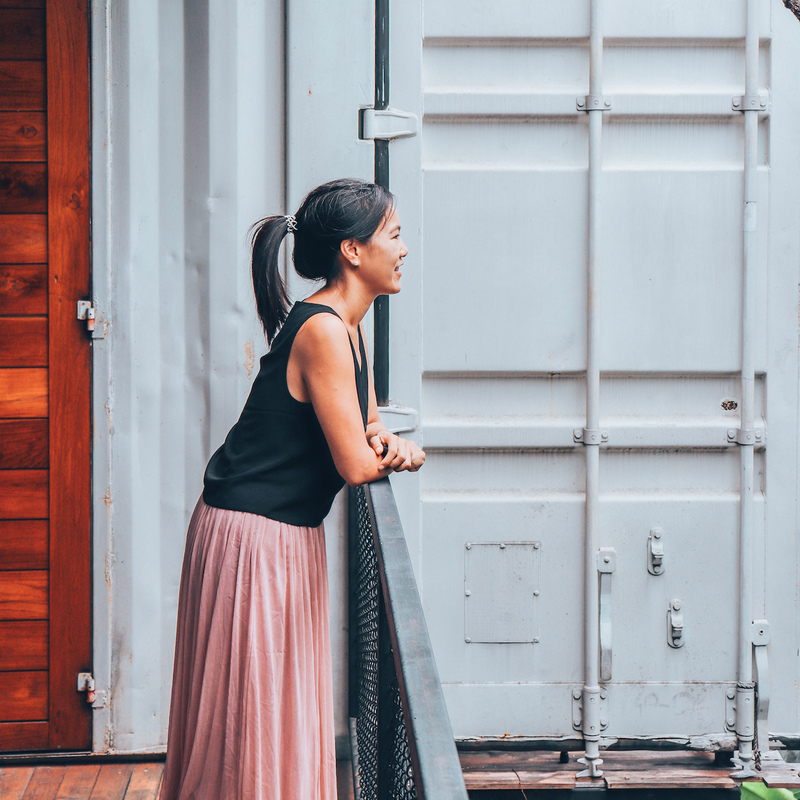 Additional perks include free bike rentals, washers and dryers on site (90 baht per load), breakfast served in the mornings, and luggage storage for up to two months. Besides the hip aesthetics of these stacked shipping containers, there’s an eco-friendly angle to all this as well. Rooms are insulated with recycled paper, LED lightbulbs are used to save energy. Signs in the bathroom encourage guests to be more mindful with their water consumption. 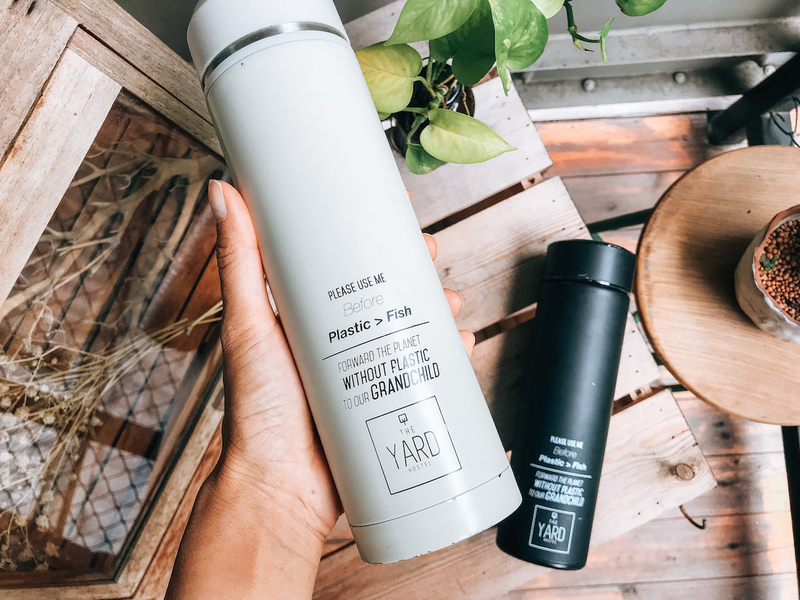 Instead of offering plastic bottled water like at a normal hotel, the The Yard offers reusable waterbottles for guests to borrow and refill with filtered water instead. And of course, the shipping containers themselves are up-cycled and given new life. With all these fantastic initiatives by The Yard, it’s no wonder that they’ve been awarded best hostel in Thailand and 3rd best hostel in Asia by HostelWorld (2017), an impressive 9.3 review on booking.com, a 5-star ranking on Tripadvisor (5) as well as listed as #1 option on Trip Advisor for specialty lodging in Bangkok. We had an extremely comfortable two-night stay at The Yard and wouldn’t hesitate to recommend them to anyone looking for a modern hostel experience. Private rooms and dorms are available. For more information about The Yard, visit: theyardhostel.com. Keep in touch and follow Modern Mix Travel on INSTAGRAM. Thank you to The Yard for hosting us for a two-night stay. As always, all opinions are our own on Modern Mix Travel.